Reserve your tickets and join the swarms of people who gather to experience the mind-blowing events at U.S. Bank Stadium. It is just one of many things that makes the city of Minneapolis - St. Paul so popular. 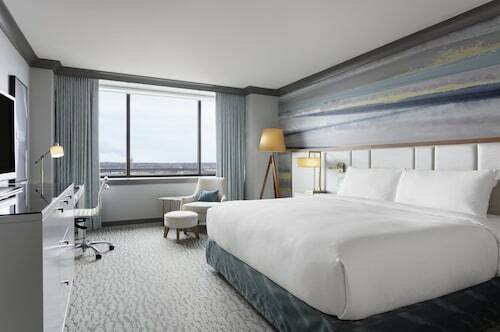 With as many as 29 accommodations within 2 miles (3 kilometers) of U.S. Bank Stadium, it won't be difficult to reserve a room that's right for you. 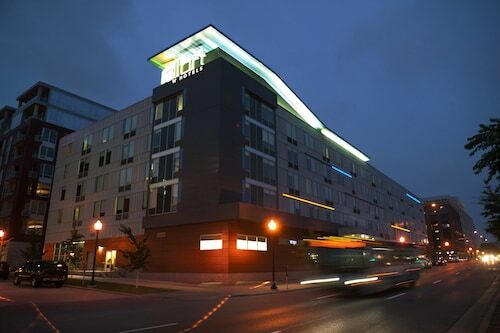 The Hotel Ivy, a Luxury Collection Hotel, Minneapolis, 0.8 miles (1.3 kilometers) away, is one place to start. 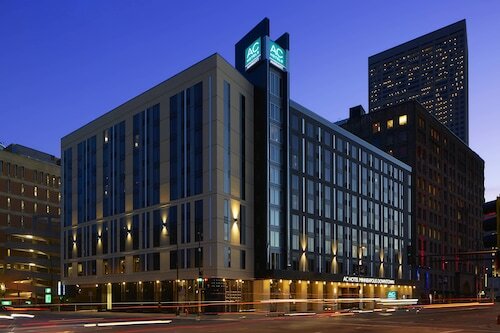 You might also like to check out the Residence Inn By Marriott Minneapolis Downtown, 0.9 miles (1.4 kilometers) away, and the Loews Minneapolis Hotel, only 1 mile (2 kilometers) away. To make sure you have enough of your piggy bank remaining to see and do everything on your itinerary, stay at the University Inn, 1 mile (2 kilometers) away. Make your friends green-eyed by spending a few nights at one of the luxurious hotels that are not far away. 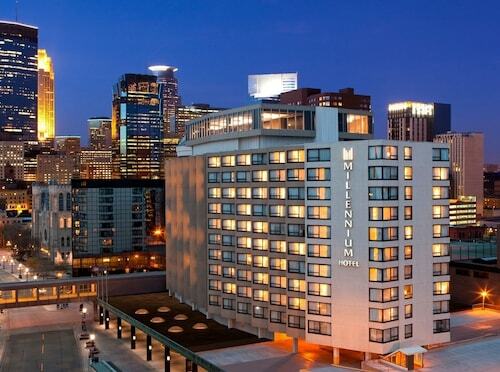 The Radisson Blu Minneapolis Downtown is one of best places, and it's situated only 0.9 miles (1.4 kilometers) away. 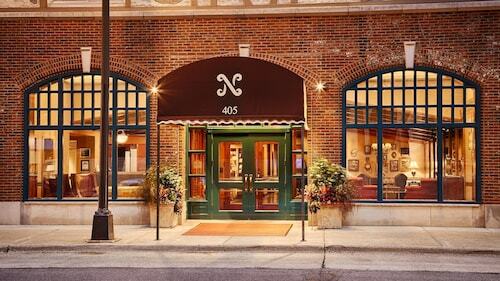 Or, enquire about a room at the Kimpton Grand Hotel Minneapolis, 0.7 miles (1.1 kilometer) away. If you'd like a brief pause from roaming around U.S. Bank Stadium, take the short walk to Conexion at Open Book - Latte, Vino, Cafe for a freshly brewed cup of coffee. If your belly's beginning to talk, you can go to Prairie Hotdogs, also in the neighborhood. If you're hungry for more, think about stopping for a drink at Delta Sky360° Club. Remember to check out the impressive program of art courses, exhibits and music shows proudly provided by Loft Literary Center. There's no better spot to take some time out than Gold Medal Park. Enjoy a magazine, throw a frisbee or simply have a picnic with friends and family in this idyllic urban sanctuary. Organize a trip to Theatre in the Round and enjoy watching its gifted actors give it their all. Learning more about the history of a region at Mill City Museum might make you feel more appreciative of the land and its inhabitants during your stay. See a play at Guthrie Theater and watch the characters come to life. How Much is a Hotel Room in U.S. Bank Stadium? Hotels in U.S. Bank Stadium start at $89 per night. Prices and availability subject to change. Additional terms may apply.